Not your typical tour of Victoria! Join artist David LaRiviere for an anti-tourism walking tour of the city, stopping at sites featured in stories told by participants of his media arts project #everysordiddetail. The tour will begin at Open Space with an artist talk about the project from 2-2:30pm. An “anti-tourist” project opposing the touristic narratives of the city in favour of fragmentary or messy bits of real life, #everysordiddetail seeks to create an alternative and uncensored map of the city. From these stories, LaRiviere has created an interactive map and audio tour, geo-locating interviews to the site where they occurred, and allowing those who take the audio tour to experience everyday surfaces imbued with a new sense. 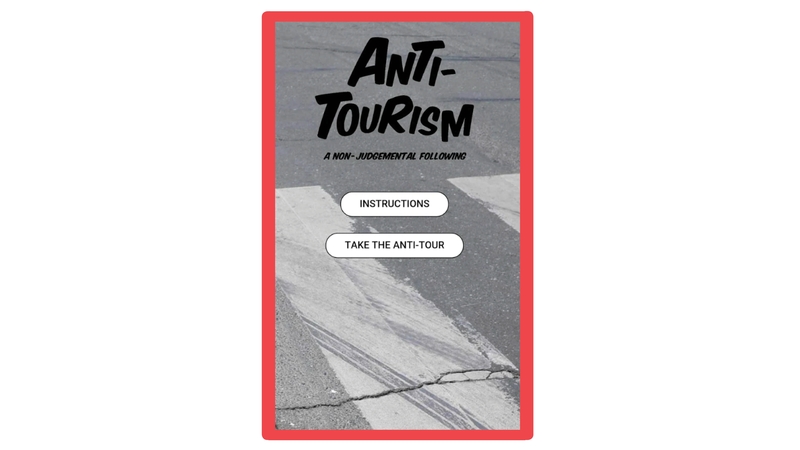 From August 2-25 the public is invited to engage in the anti-tourism tour and listen to the recorded interviews through the #everysordiddetail app. Open Space will also host an opening reception on Thursday, August 2 from 7 to 9pm to celebrate the gallery exhibition and launch of the app. Open Space respectfully acknowledges that we are on unceded First Nations territory. The City of Victoria and the surrounding areas lie on the territories of the Coast Salish and Lekwungen-speaking peoples, including the Esquimalt, Songhees, and W̱SÁNEĆ First Nations. Open Space is not wheelchair accessible and is accessed by a flight of 23 stairs. There are two gender inclusive washrooms, one multi-stall and one single stall with a urinal. If you have any other questions or concerns, please contact openspace@openspace.ca or 250-383-8833.